The big favourites tighten their grip – but it’s still a long way to Alta. On day four of Finnmarksløpet, two major favourites have demonstrated that they are serious. 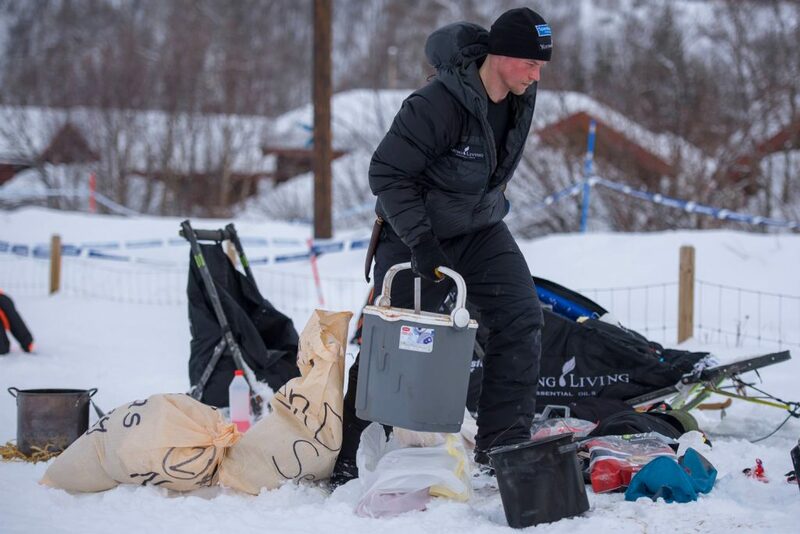 Both FL-1200 musher Dallas Seavey and FL-500 musher Harald Tunheim were referred to as favourites in their respective races prior to race start – predictions that have proven true so far. However, it’s still a long way to go before we have a winner or two. Harald Tunheim is in the lead of this year’s race, having the longest experience from the Finnmark Race. He has won the (previous) FL-1000 class five times. In 2018, he races to complete his 21st Finnmarksløp! Leaving checkpoint Valjok, he was one hour and 20 minutes ahead of Ronny Wingren, followed by the latter’s father Ole Wingren 20 minutes later. Tunheim had eight dogs, Wingren jr. seven dogs and Wingren sr. six dogs. It will take a lot to steal the victory from Tunheim, even though there are still 135 kilometers to go back to the finish line in Alta. On leaving Valjok, two of Tunheim’s dogs started mating, causing him to having to wait some minutes. Everything can happen, and even though he is solidly in the lead, nothing is given and the race not over until the first musher and his team cross the finish line in Alta. At the time of writing, Dallas Seavey is out feeding his dogs at cp Neiden, and many are curious to see when he will leave. Will he take his 16-hour layover here, or will he leave after a couple of hours? Following Seavey, Tom Frode Johansen arrived as team #2 and Petter Karlsson as #3. Seavey does not by any means hold a clear lead position; Thomas Wærner took his 16-hour mandatory rest in Tana, and he will arrive Neiden around midnight Norwegian time/CET. If Wærner rests three hours in Neiden, and Seavey takes his 16-hour mandatory rest in Neiden, Wærner will be ahead of Seavey on the trail. Though we can only speculate so far. We will be back with a more comprehensive report later today, when the situation in Neiden is more clear.